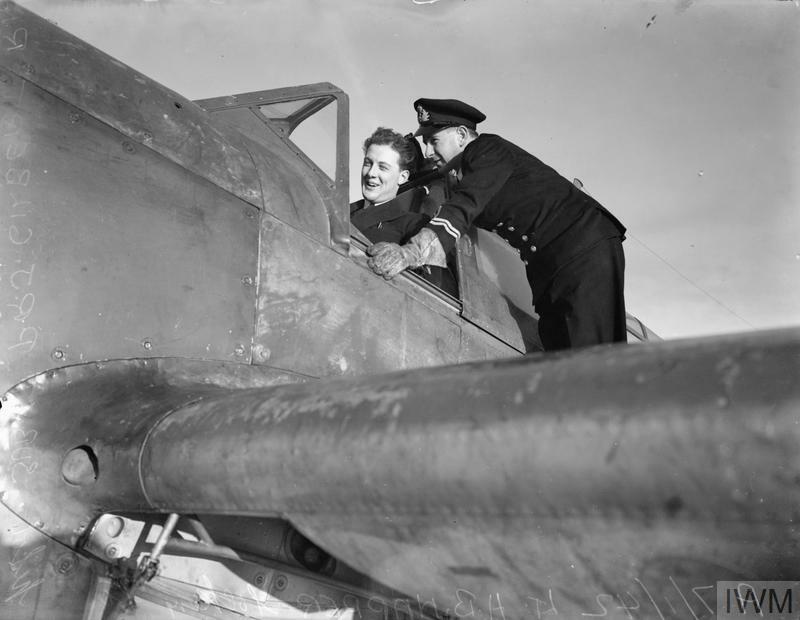 FLEET AIR ARM. 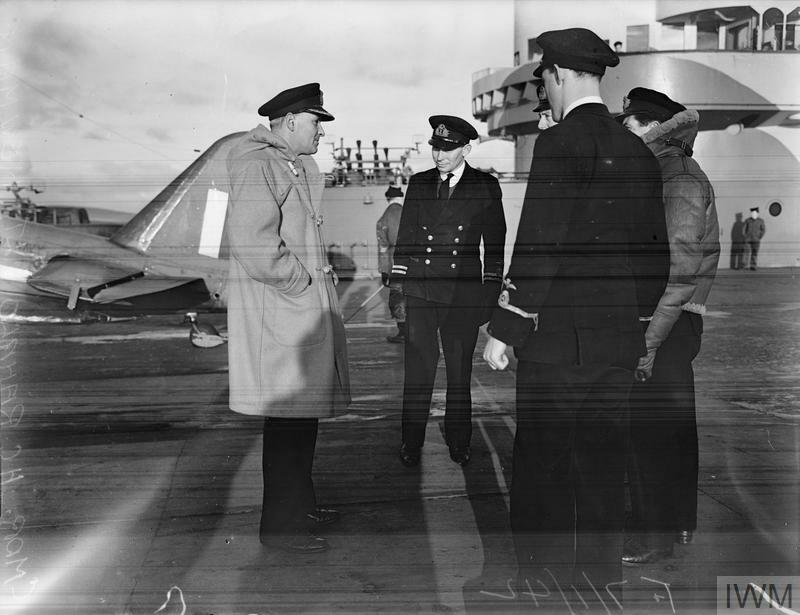 7 JANUARY 1942, ON BOARD HMS VICTORIOUS. 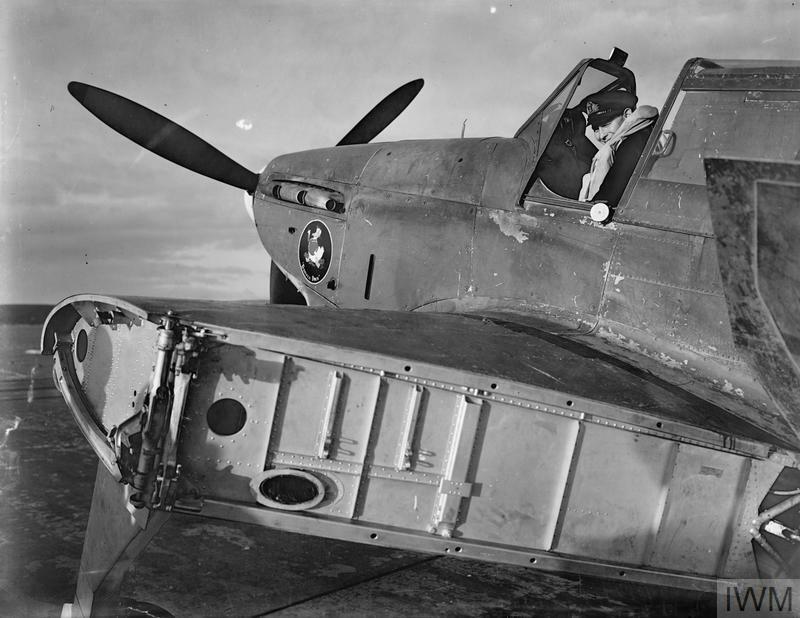 FIGHTER PILOTS AND THEIR MACHINES. Striking down an aircraft. 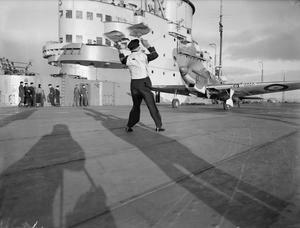 The Parking Officer in the flight deck of HMS VICTORIOUS flagging a Fairey Fulmar to the lift before being struck down.